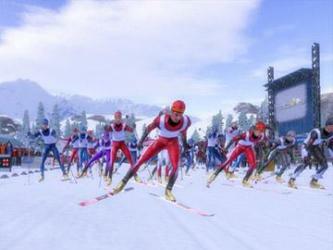 Download and Play International Winter Sports on your computer. 4 major disciplines: Alpine Skiing, Bobsleigh, Ski Jumping, and Cross Country with over 20 different events : Slalom, Giant Slalom, Super-G, Downhill, Ski Jumping, Nordic Combined, Bobsleigh, and Cross Country, with both classic, free, mixed styles (8 events), and Biathlon (4 events). More than 30 national teams, 750 competitors and 6 winter sport domains (Austria, Canada, France, Germany, Italy, Norway) offering over 100 slopes, tracks or circuits. A full tutorial that allows you to understand the basics of each sport. True to life sensations that are affected by the weather, the standard of equipment and the intrinsic qualities of each athlete. Equipment and competitor attributes evolve as you progress through the game. 3 modes of play: single event, career, and winter challenge. 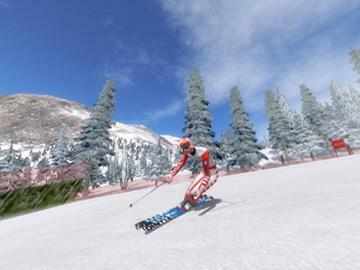 Several modes available in solo or up to 8 in multiplayer (Hot Seat/LAN/Internet): full season, winter sports, and single event.